Filters, Software and Leads for Rotronic HygroClip2 and HygroPalm. Rotronic offer a range of filters for optimum protection of the sensors. The right filter will give optimum performance regarding sensor protection and probe response times. The filter is suitable for use with the Rotronic HC2-S probe. The new Rotronic devices are equipped with a practical interface for configuration of the devices and for the display and recording of data. The Rotronic HW4 software V3 is one of the most comprehensive and user-friendly validated software packages available on the market today. 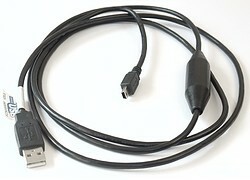 A data cable which plugs into the USB port of a computer to allow Rotronic HW4 software to communicate with a Rotronic HygroClip 2 probe. 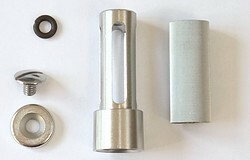 The probe end has a long shaft which can used as a handle. A black 2 metre long extension cable for use with a HygroClip probe. 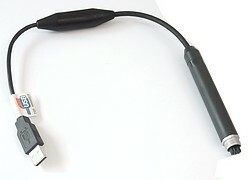 A data cable which plugs into the USB port of a computer to allow Rotronic HW4 software to communicate with a Rotronic instrument, such as a HygroPalm 22 instrument.